What do you call an event that has all the soup, bread and home-desserts you can eat and a silent auction? You call it the first-ever SOUPer Silent Auction for the Seward County United Way to be held Saturday, Nov. 8 at the Friends Church Activity Building, 1650 N. Western. The doors will open at 6 p.m. and the menu will include the following soups: turkey noodle, chicken tortilla, ham and bean, chili, vegetable beef and vegetarian potato. Rounding out the meal will be hot rolls from Ruffino’s Italian Restaurant, cornbread, a wide variety of home-made desserts and coffee, tea and lemonade. Spencer Browne’s Coffee House is contributing the chicken tortilla soup and the vegetarian potato. Volunteers are making the rest of the soups, cornbread and desserts. Suggested donations for the meal are $10 for adults, $5 for kids (12 and under) and seniors (65 and over) and free to age 3. All proceeds from the evening will be donated to the Seward County United Way to help the 26 local non-profit agencies supported by the Seward County United Way. 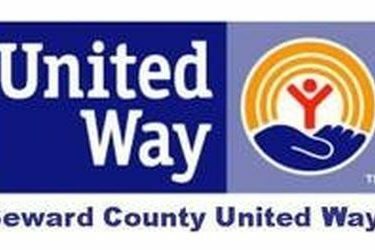 For more information about the Seward County United Way, call 624-5400, email [email protected] or visit the web site at www.scunitedway.com.